Sign up for on our website for a Student Account. 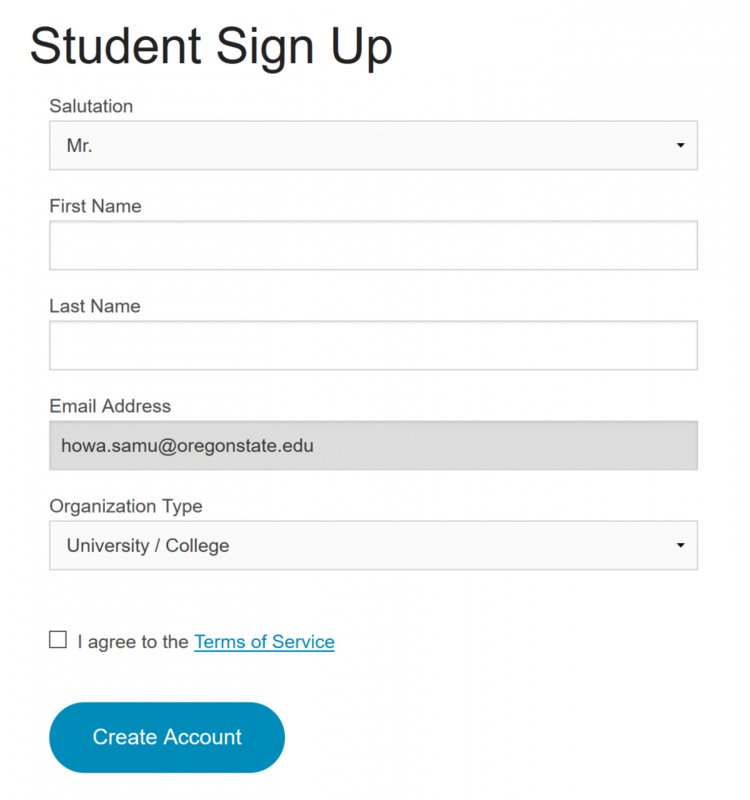 Student accounts require a subscription, as detailed on our pricing page. 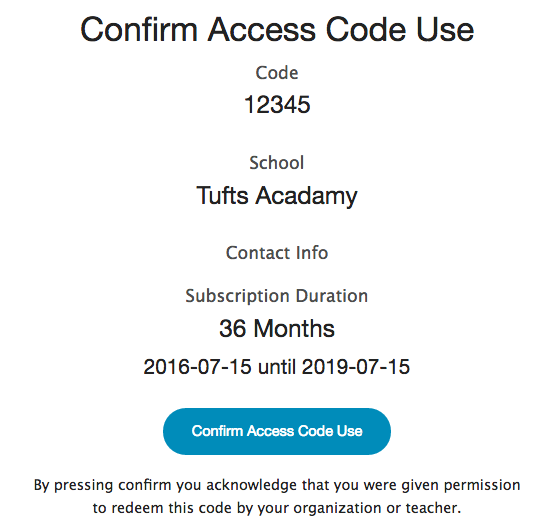 Many institutions will purchase student subscriptions in bulk and distribute an Access Code that allows students to join Visual Classrooms for free. 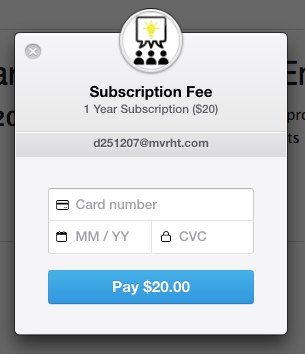 Students can also purchase a one year subscription with a credit card. Watch the following instructional video, or follow the guide below. Login with your email and temporary password. At this point, you will have the option either to pay with a credit card, or enter an access code. Fill in your card details. You should see the following confirmation message. Enter the code given to you by your teacher or institution. Once you’ve created your account and have a subscription, you’ll need to join a group.